Cannabis has been at the forefront of the War on Drugs since the 1930’s; its uses have been demonized and vilified as having ill effects and dangerous consequences. Efforts to demonize the plant’s credibility have even lead to racism and social degradation. It’s tragic, but not surprising, that the government’s attempt to control our bodies and our rights has led to the real immorality and social injustice our society continues to experience. Individuals- regardless of heritage, race or gender—are most capable of making decisions for themselves and that includes what they choose to put into their bodies. Those who choose to use Cannabis to find medical relief or simply for recreational purposes are not devaluing themselves or society—they are the ones taking action to uphold their liberties. 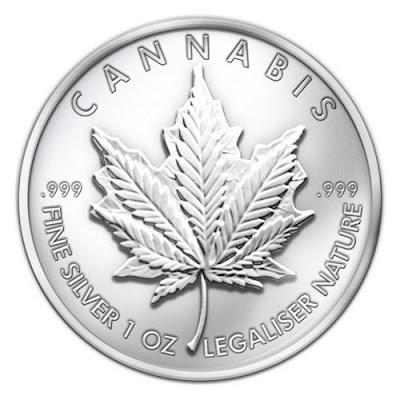 The Cannabis coin is a testament to the plant’s beauty and purpose as well as our beauty, our purpose and our ability to make the best choices for ourselves. 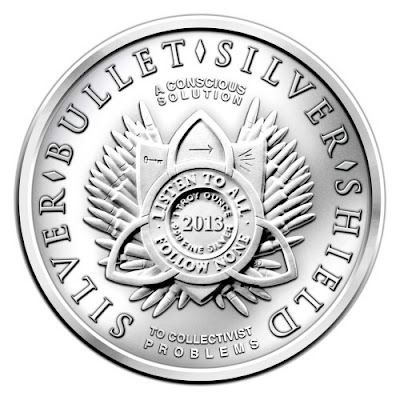 Whether your fight is specifcally against prohibition or more broadly against oppressing, unjust laws, this coin will act as a reminder to us that all of our liberties are sacred and that the individual's power must be preserved at all costs. War On Drugs? Or Liberty? Cannabis has been at the forefront of the War on Drugs since the 1930’s; its uses demonized and vilified as having ill effects and dangerous consequences. Nearing its 100th anniversary, the drug war has done little to prevent cannabis usage, though it has been very successful in criminalizing our youth and creating future felons. As government powers have expanded to control recreational drug use, so has the world’s incarcerated population. The numbers have shot up dramatically, from roughly 500,000 prisoners in 1980 to around 2.25 million by 2005. Over 1 trillion dollars have been spent in government efforts to fight the war on drugs. The government has been furthering its involvements in our daily habits and personal intake since its first ban on opium in 1914. The progression of drug laws from The Nixon Administration to the advancement of federal power under the Obama Administration has illustrated the unwanted intrusion of the federal government into our personal lives. Those who attempt to ban our rights to privacy use the same, old argument over and over again—they cry ‘Immorality!’ Henry Anslinger—a man ironically addicted to morphine at the early age of twelve years old—led the campaign against marijuana in the 30’s as the commissioner for the National Bureau of narcotics. He launched a campaign against cannabis by using the media and branding to label the plant and the use of the substance as ‘degrading to society.’ His goal was to grow his newly formed Narcotics agency to expand to banning all recreational drugs. He is responsible for remarking the plant as ‘marijuana’—his attempt to make the plant as inferior by promoting its formal Spanish name; his efforts to demonize the plant’s credibility often lead to racism and social degradation.